Corporate Social Responsibility, CSR can no longer remain in the fringes of corporate life, as a decorative show-piece or public relations exercise or a feel- good factor. CSR has to become an integral part of corporate strategy and an effective instrument for a creative integration of the corporation with the community and the surrounding environment. The corporate world has to understand the mutual interdependence between the Corporation and the Community and has to integrate itself with the society in which it functions in a mutually beneficial relationship. However this relationship should not be merely practical with a predominant focus on the long-term or “enlightened self-interest” of the organisation in the bottom-line but also developmental. A business organisation has the resources and expertise to provide a helping hand to the human development process in the community. This article examines the relationship between business and society and the corporation and the community in a strategic, developmental perspective. A business organization is not merely an economic entity; it is also a social organism, a human community. So one of the higher aims of a business organization is to integrate or harmonise its communal life with the communal life of the surrounding environment. This must be the next step in the evolution of the Corporate Social Responsibility (CSR) movement; it has to progress beyond some adhoc or isolated charitable projects to embrace the surrounding community as a whole. In other words, there must be an integration of CSR with the totality of the community development process. There is a natural process of human development in a community which can be accelerated by appropriate, creative intervention. Business has the competence to provide some of the most efficient and effective interventions acting as a catalyst for community development. But how to achieve this integration? Let us begin our exploration with some of the latest and most thoughtful perspectives on the subject. The first step towards this integration is a clear perception and recognition of the interdependence of business and society. Here comes the importance of the concept of shared value and strategic CSR presented by Michael Porter and Mark Kramer. In two perceptive articles in Harvard Business Review, Porter and Kramer make the following points which provide a pragmatic framework for forging a strategic link between corporation and the community. At the very basic level, the competitiveness of a company and the health of the communities around it are closely intervened. A business needs a successful community, not only to create demand for its products but also to provide critical public assets and a supportive environment. A community needs successful business to provide jobs and wealth creation opportunities for its citizens. This mutual dependence of corporations and society implies that both business decisions and social policies must follow the principle of shared value which means, choices must benefit both sides. If either a business or society that pursues policies that benefits its interest at the expense of the other, it will find itself on a dangerous path. A temporary gain to one will undermine the long-term prosperity of the other. To implement these broad principles the corporation has to practice strategic CSR which means identify social opportunities which while benefitting society also enhances the long-term competitiveness and effectiveness of the organizations. This vision of shared value and strategic CSR provides a very practical and down-to-earth approach for choosing and implementing CSR projects. However, the concept of strategic CSR can perhaps be viewed as part of a broader developmental vision. However we must note here that developmental perspective does not ignore or underestimate the enormous importance of poverty and inequality which are some of the major millennial problems of humanity. And Business as a creator of wealth for the society has a vital responsibility for the equitable distribution of wealth in the society. So elimination of poverty has to be a major agenda of CSR. However, this problem of poverty can perhaps be tackled more effectively in the long-term if it is viewed not as an isolated problem but as part of a larger developmental process. But, most of the modern thought on development is predominantly external, oriented towards the economic and social development of the outer life. But a more integral approach to development has to include the inner as well outer development of the individual and collectivity. Inner development means the mental, moral, aesthetic and spiritual development of the individual and communal consciousness. Here come some of the limitations of the strategic CSR concept of Kramer and Porter which we have discussed earlier. Strategic CSR is based on mutual self-interest but moral and spiritual growth of an individual or collectivity requires transcendence of self-interest and giving without expecting anything in return. Kramer and Porter tend to dismiss the moral attitude to CSR as something ineffective. But according to the deeper perspective of Indian thought, a moral act or contribution to the larger life of society or humanity brings two results. First it leads to the moral and spiritual growth of the organisation. Secondly it releases a moral and spiritual force which has its ultimate material results. The first factor cannot be proved empirically. But some of the latest research in management is supportive of the second Patricia Aburdene, in her book on “Conscious Capitalism” cites many research studies to show that there is a correlation between “Money and Morals” and companies which are more ethically and socially responsible are also more financially viable. (6) The strategic CSR based on mutual self-interest has a compelling validity for small firms with limited resources and operating in an environment of fierce competition. But for bigger companies which can deploy sufficient resources and expertise without much adverse impact on its competitiveness or bottom line, the CSR strategy can be based on maximum contribution to the well-being and progress of the community rather than on mutual self-interest. This brings us to the question how to implement this developmental approach to CSR? This requires an integration of the corporate strategy with the development needs and aims of the community. The first step in this task is to have a clear understanding of the different stages of community development in an integral perspective. A total human development process, which leads to this integral development of the human potential in a community, is made of three stages. These stages can be pursued simultaneously, but with a predominant emphasis on some aspects or dimensions of development at each stage. The first stage involves fulfillment of the basic needs of the population; creation of employment opportunities and development of employable, productive and entrepreneurial skills in people; satisfaction of the desire for a better enjoyment of life and also better utilization of the opportunities of life; and finally creation of all other factors which lead to an overall material and economic wellbeing of the community like for example health, hygiene, nutrition and ecology. Second stage is the realization of the social, cultural and political well-being, which involves the actualization of the triple values of French revolution, liberty, equality and fraternity in the outer life and preservation of all that is valuable in the local culture. Liberty means not merely individual rights but a free participation of the people in their own development, especially in decision making, with maximum freedom to grow from within through a self-directed development and minimum of external rules or compulsion. Equality means equitable distribution of or access to wealth, power, knowledge, resources, opportunities and an equal, full and joyous participation of each individual in the communal life. Fraternity means social cohesion, solidarity, harmony and comradeship. The third stage is the mental, moral, aesthetic and spiritual development of the community. In a more psychological perspective, the first stage is the fulfillment of the needs of the physical being or the body. Second stage is the satisfactions of the needs of the vital, emotional and sensational being for wealth, power, enjoyment, status, recognition, harmonious relationship, achievement, expansion, autonomy and mastery. Third stage is the quest of our higher mental, moral and spiritual nature for knowledge, understanding, values, ideals and reconnects our souls with the spiritual source of our own being and the universe, which is the highest aim of religion. To implement this vision of development requires an integral approach with a balanced emphasis on the inner development of people as well as the outer development of the economic, social, political and ecological environment. An example of such an integral approach to development put into practice is the SARVAM project of Sri Aurobindo Society, Puducherry, India. The case-study of SARVAM is included in the second part of this book. What is the role of business in this vision of community development? The task of business is two fold: First is to provide products and services which correspond to the progressive and evolving human needs, and in the process earn profit for itself, create wealth for the society and help the community to grow. The intrinsic function or dharma of business is to fulfill the material and economic needs of the community and strive for a constant and continuous improvement in the quality and wellbeing of the material and economic life of the group. However, as the community evolves and progresses beyond the initial stages of economic development to the higher stages of social, cultural and psychological development, business has to adopt itself to this growth and has to provide products and services which correspond to the needs of these higher stages of growth. The second task of business is to provide the financial support, technical expertise and managerial competence for executing and implementing the vision. In this task, as we have indicated earlier, business is much better equipped than other organs of the society and therefore can make a crucial contribution for accelerating the development process. Here again, the nature of intervention may differ at each stage of growth. In the first stage when the need and nature of growth are predominantly material and economic, the developmental needs of the community more or less correspond to the core competence of a business organisation. However, as the community grows beyond this first stage to higher stages, the developmental needs of the community may not exactly correspond to the core competence of a commercial organisation. But this need not be a big obstacle because one of the core competencies of a business organisation is the ability to organise, which includes the ability to hire, bring in and organise the expertise which it doesn’t have to achieve the desired objective. For example, environmental engineering or management is not a part of the core-competence of McDonald, but the company hires or cooperates with NGO’s which have the environmental expertise to achieve its sustainability objectives. Building a harmonious and empowered community governed by the values of liberty, equality and fraternity. Helping people to grow inwardly in the mental, moral, aesthetic and spiritual realms and express this inner growth in the outer life. Creating an organizational environment and culture which encourages and fosters these higher growths. An organization which pursues this higher growth can impart this growth to the community around it by transferring its learning to the community. For such smaller companies, industry associations can play an effective role in helping firms to implement their CSR projects. Smaller companies can do better CSR work if they can cluster together and pool their resources and expertise through industry association. These associations in the small and medium sector can act as coordinators, consultants, felicitators of CSR for their members. For example, they can conduct or sponsor research for identifying the developmental needs of community. They can help each company to identify a developmental project which corresponds to or match its available resources or expertise. There are many such possibilities for cooperative action which can be explored. Bigger companies with much more resources and expertise can make a more systematic and planned effort on a larger scale with a greater emphasis on the wellbeing and progress of the community than corporate self-interest. A great example which can be a role model for other corporates is the Hosur project of Titan Watches, a company of the Tata group in India. Here is a brief description of this admirable project on CSR, from the book by Morgan Wetzel. The watchmaker Titan, a joint venture between the Tata group and the Government of Tamil Nadu, opened its first factory in the small and rather remote south Indian city of Hosur in 1987. The area around Hosur was very poor, with some families barely above subsistence level, and agriculture was almost the only industry. As there was no skilled labour available locally, the company at first intended to hire professional engineers from the city of Bangalore to staff the factory. After a heated discussion in the boardroom, Desai got his way. Four hundred young people, the best of recent graduates from nearby village schools, were recruited and brought to Hosur. Most had never seen a city before, or lived in anything but a simple hut. Many had no money. Titan built accommodation for the young people and provided ‘foster parents’ who lived with them and taught them the life skills necessary for living in a city. Meanwhile at the factory, trainers and engineers brought in from Bangalore and elsewhere taught the young workers how to use precision machinery. Once the factory was up and running, Titan also provided sports and cultural activities, and the facilities to help its workers study for degrees and even take post­graduate courses after work hours. The wages paid to its workers and the educations they have received have transformed not just their own lives, but the lives of their families too. Remittances sent home to their families have enabled others to escape the poverty trap. Workers spoke of siblings who were able to go to university, the first in their families to do so, thanks to these remittances. Others left Titan and used their training to set up businesses, creating further employment. Titan measures its impact in terms of the number of ‘lives transformed’. ..
And finally, what are the possibilities for a company which wants to contribute to the higher stages of evolution of the community beyond the economic aims? We have already indicated briefly some of the possibilities. The best approach is to make a conscious effort to achieve this higher evolution within its own people and transfer the learning to the community. In this task, the company can take the help of other organisations¾spiritual, cultural, social or educational¾which have some expertise in steering this higher evolution in the individual or the collectivity. The company can also network with such organizations all over the world, which are experimenting with this higher evolution and share experiences and best practices with them. The other possibility is to provide financial support to educational or community building experiments or projects which aim at this inner or higher evolution in the individual or community, like for example SARVAM project, which we have discussed earlier, is funded mainly by Cadburys. R.M. Lala (1993), Beyond the Blue Mountain: A Life of J.R. D. Tata, Penguin Books, New Delhi, p. 286. Tikli Basu (2003), ‘A Mandate for Corporate Social Responsibility,’ The Light House Stories’, Tata Group, 2003, Mumbai, p. 32. Sandra Berg, ‘A Small Business Approach to CSR’, Harvard Business Review, May 21, 2010, p. 2. 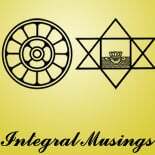 This entry was posted on June 22, 2012 by integralmusings in Integral Management.